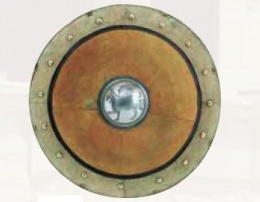 Metal shield with leather covering and embossed Boss.23' diameter. hoplons and full body armour depicted in a Greek vase dated to 550 BC. This page was last modified on 15 July 2013, at 21:56.